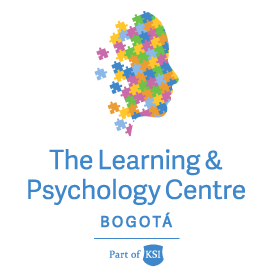 At the Learning & Psychology Centre, we are committed to helping your child achieve their full potential. Through our three step approach, we work with you to assess your child's learning needs and develop an intervention therapy programme that helps strengthen your child's abilities and develops their confidence. The initial interview, conducted by the two Senior Directors, gives parents and the LPC the opportunity to connect emotionally and learn about the child’s past experiences, to understand his/her strengths and weaknesses and develop a hypothesis of a diagnosis. The interviewer will then refer students to take appropriate assessments and/or interventions. The LPC uses assessments to help determine the child’s strengths, weaknesses and learning style. The test results are used to cultivate reports which provide vital information in guiding the interdisciplinary team’s interventions. Assessments include direct and individualised questionnaires, standardised tests, behavioural, emotional, communicative and executive function observations. The results include a diagnosis, recommendations for parents and teachers, and an appropriate educational plan that includes class accommodations and curricular modifications to help the student succeed. The LPC offers the following intervention services for children. These intervention services will form part of the child's Intervention Programme. Speech & Language Therapy: Provides specialised intervention to students who have difficulties in their processes of speech, auditory and/or visual processing and reasoning, as well as in their language integration and thinking skills, through the implementation of individual programmes according to each subject´s needs. Occupational Therapy: Reinforces motor development and perceptual responses appropriate as a basis for improving critical thinking skills, memory and cognition to students who have immaturities and/or deficits in these skills. LPC counts with skilled professionals in this area, and the adequacy of a Sensory Room specially designed to take advantage of all the channels and processing sensory inputs such as sight, hearing, smell, touch, proprioceptive (body awareness), and balance. Readiness Support: Prepare children who desire to begin formal schooling in the best possible manner. Every child grows, develops, and learns at a different rate. The child may have already successfully acquired some skills and may need more time to develop others. The key is to give the child plenty of opportunities to practice and learn these new skills by interacting naturally with learning specialists. Academic Support: Supports students who are struggling or have special needs, as well as those who want to strengthen their learning processes and academic content by designing specific educational strategies that would enable them to successfully meet their regular academic demands. Executive Functions: Strengthens executive functions, mental processes responsible for directing thoughts, actions and emotions during active problem-solving. These skills are directed to select appropriate goals for a specific task, plan and organise strategies to solve problems, initiate a plan, mental planning, flexibility, etc. They also have a close relationship in controlling emotional responses. English as a Second Language (ESL): This programme provides support to those students who want to improve their proficiency in English, in speaking, reading and writing. Spanish Support: The purpose of this intervention is to help Spanish speaking children who have difficulties learning how to read and write, or who need more time and specific interventions in this process. Homework Support: We work to ensure your child’s homework assignments go smoothly by providing homework assistance and advising your child of effective strategies to complete homework. Psychotherapy: Increases the individual’s sense of own well-being, using a range of techniques based on experiential relationship building, dialogue, communication and behaviour change that are designed to improve the mental health of a person, or to improve group relationships. Development and Reinforcement of Parenting Skills: Sessions and conferences that provide guidance on adequate parenting skills, following the school of positive and conscious discipline to support parents in the process of optimal child rearing.